Located in Central Texas, ACS Data Recovery is a local solution for your data recovery needs headquartered just north of Austin, Texas. When your hard drive has failed, in many cases, time is of the essence, and you want your data back as quickly as possible. 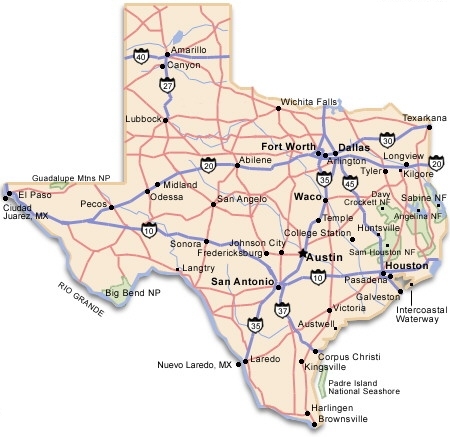 No matter what part of Texas you are in, you can have your hard drive in our lab within 1 day or less depending on your location. We offer local service to Austin, Round Rock, Georgetown, Killeen, Temple, Belton and Waco. We are just 2 hours south of Dallas, Texas. We offer fast, affordable data recovery solutions. All of our recovery pricing includes any and all parts and labor needed to complete the recovery. There are no hidden fees. There is never an evaluation fee, and we do not charge an attempt fee. That means if your data is unrecoverable, you pay nothing. Before you drop your drive off at a local data recovery company, make sure they actually have the tools and equipment necessary to complete the recovery work. Many of these recovery companies are merely store-fronts that ship the drives off to companies like ours. We are fully equipped with our own in-house Class-100 clean room, along with a full array of imaging stations and recovery servers. We can get the job done quickly and efficiently. If you are part of a computer repair company or an IT professional and would like to offer data recovery services to your clients, we offer a variety of reseller programs. We would be happy to discuss our services with you, feel free to call 1-800-717-8974.